Join us for an exploration of advanced concepts in ancestral health. Speakers to be confirmed shortly. What's it like to work with an NTP? Nutritional Therapy Practitioners® work with bio-individual human physiology and function everyday. The results for health and wellness for their clients are profound. If you are wondering what nutrition has to do with your current health concerns, here's a simple explanation. It all comes down to cells. When our cells are nutrient deficient we go on a downward spiral. The role of a Nutritional Therapy Practitioner is to assist their clients to re-establish cellular health. Part of this is understanding the warning signs and signals our body gives us every day about underlying dysfunction. Here's what you can expect during a session with an NTP. Gut and Psychology Syndrome: Natural Treatment for Autism, Dyspraxia, A.D.D., Dyslexia, A.D.H.D., Depression, Schizophrenia | Dr. Natasha Campbell-McBride, M.D. The Second Brain | Michael D. Gershon, M.D. Life Without Bread | C. B. Allen, PhD, W. Lutz, M.D. Pottenger's Cats | Francis Pottenger, Jr., M.D. Body Type Diet | Elliot D. Abravanel, M.D. The Nutrition Solution | Harold J. Kristal, D.D.S. and James M Haig, N.C. Fat Flush Plan | Ann Louise Gittleman, M.S., C.N.S. A.The Nutritional Therapy Association is a private vocational school in Washington State, USA. Our program is not government-accredited in USA, Australia or New Zealand. However, in Australia and New Zealand we are recognised by the following professional bodies: the Australian Committee of Natural Therapies, the National Association of Nutrition Professionals and the International Institute for Complementary Therapists. Once you have become certified by the NTA, you will be eligible to register with one of these organisations. This will provide you with the ability to acquire Professional Indemnity Insurance and your right to practice as a Nutritional Therapy Practitioner. Q. Does your program prepare you to sit for board exams? A. Not in Australia or New Zealand. Currently, our Nutritional Therapy Practitioner (NTP) Program is recognised by the National Association of Nutritional Professionals (NANP) in the USA. Graduates of our programs can sit for NANP's national board exam. Q. What are the prerequisites for the program? A. The only prerequisite is high school education. The Nutritional Therapist Training Program is not a 4-year program or a prerequisite for a four-year dietetics program. Students must also have access to high-speed internet and be comfortable working in an online environment, as a majority of the coursework will be done online. Q. How long is the program and does it have to be completed consecutively? A. NTA courses are one year in duration and must be completed within the scheduled time. It is the equivalent of a two-year full-time equivalent program condensed into an intensive, one-academic-year format. There are two approximately two-week term breaks during the program. Please note that workshop attendance is required to obtain certification. There are three weekend-workshops for the NTP course, wherein there is an allowable maximum of 8 missed hours. Q. Would it be practical to take this course while working full time? A. Many of our students have full-time jobs so, yes, it is entirely possible to work full-time and complete the program. However, students should plan to spend 15-20 hours per week studying. We also recommend you begin your reading even before the class starts, if possible. Q. Can I take the program even though I don't know if I want to start a business? A. Yes, about 30 percent of our students take the training for personal interest, about 30 percent start their own practice, and the other 40 percent are health care practitioners who add this training to their existing knowledge and/or practice. Q. What kind of degree or certification will I receive when I complete one of your programs? A. 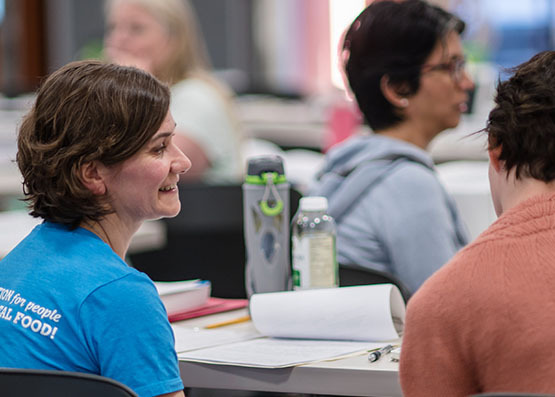 Upon successful completion of the Nutritional Therapy Practitioner Program, a certification of completion is awarded by the Nutritional Therapy Association granting permission to use the designation of Nutritional Therapy PractitionerTM (NTP). Q. Will you be offering this course every year? A. Yes. We currently hold four classes a year, in Sydney, Melbourne, Brisbane, Perth and New Zealand (alternating between Auckland and Wellington). Q. What types of positions are available for graduates of your programs? A. Some graduates combine their certificate with existing licenses/certificates in alternative medicine. Many have established a private practice as a nutritional consultant. We have some graduates working in a clinical setting with other like-minded professionals. NTA has also graduated numerous healthcare professionals such as chiropractors, medical doctors, acupuncturists, registered nurses, and massage therapists. The NTP program does not qualify you to work in a hospital or other government regulated settings as a nutritionist. Q. Is this certification recognised by government bodies? A. Countries and regions vary in their requirements for certification/licensure for those providing nutritional counselling and advice. Current regulations in Australia and New Zealand allow NTPs to establish their own practice. Some states in the USA, however, require licensure, so you would want to work under the supervision of a licensed practitioner. The Department of Health in your region should have complete information on their individual requirements, and we encourage you to do this research. Q. Will I be able to bill insurance for my services? A. Because our program is a certification program and not a licensure program, you will not be able to bill insurance for your services or supplementation unless you have other licensure that allows you this privilege. Q. What part does diet play in your programs? A. Diet is a very large part of our programs. A cornerstone of our programs is our belief that proper nutrition has to be built on a foundation of properly prepared, nutrient-dense foods. Though we discuss supplementation in our programs, especially relating to our Functional Evaluation and lingual-neuro testing technique, our instructors emphasise the need for food to be the primary source of nutrition. Q. Is the nutrition training based primarily on supplement use or can the techniques be used with herbs and foods? A. Our primary focus is a properly prepared, nutrient-dense diet. However, we do discuss supplementation throughout our curriculums. Our Functional Evaluation techniques are most commonly used with supplements and herbal remedies, but foods can be used as well. Q. What is included in the curriculums? What is required for certification? A. The course curriculum includes anatomy and physiology, basic chemistry concepts and the science of food and its nutritional components. Students also learn how to identify and address imbalances in the body and intervene with nutrition to improve overall health. 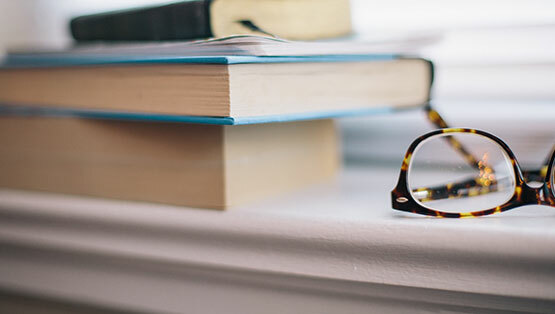 In order to become certified, you will need to complete all required reading, homework, book reports, community project, outside client/practitioner folders, review audio and video lecture content online, attend any required workshops, and pass a written and practical midterm and final exam. More details are available in the Course Catalogue. Q. How is this nutrition programs different from other courses? A. The Nutritional Therapy Practitioner Program offers a whole food-based nutritional paradigm with a holistic approach for addressing health and wellness. Our programs are based on a foundational approach to nutrition. We emphasise allegiance to the teachings of such pioneering greats as Dr. Weston Price and Dr. Francis Pottenger. We believe that each person is biologically individual and has within them an innate intelligence. Our programs offer a system of evaluative measurements that help identify nutritional weaknesses in the body. The Nutritional Assessment Questionnaire combined with the Functional Evaluation and lingual-neuro testing gives powerful tools to assess a client's biochemical individuality. These techniques allow a practitioner to make personalised diet and lifestyle recommendations that will promote health and wellness. Q. How much is the course? Q. How much can a Nutritional Therapy Practitioner earn? A. Salaries for NTPs can range from $50 to $125 per hour or more, depending on location, experience, and other certifications/licenses. A. NTA Australia/NZ partners with Auswide Bank in Australia to offer loans for tuition and books. Loans carry terms of up to 5 years, with competitive fixed or variable interest rates. View a pre-approval request form here. Make sure you complete Promo Code: NTA. In New Zealand we partner with Kiwibank. Please note you'll need to be over 18 years of age, a permanent resident and earning a regular income or wage. Credit checks apply. A. 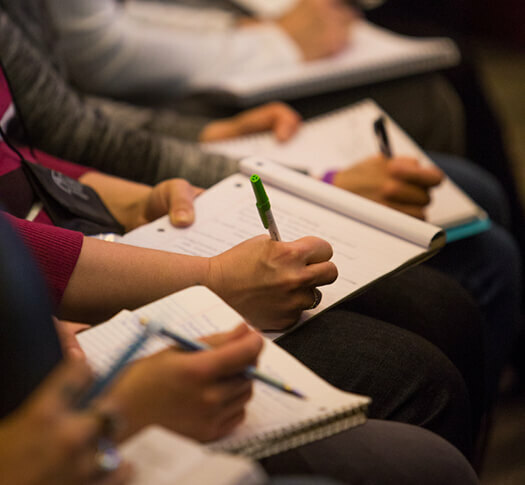 We currently offer one scholarship for each venue, each year (Melbourne, Sydney, Brisbane, Perth and the New Zealand venue which alternates between Auckland and Wellington). Scholarships cover 50% of tuition fees, but do not cover the cost of books, travel or supplies. More information is available at the NTA USA website. Q. Where are the workshops held? A. Workshops are held in the location of each class, for instance, Melbourne for the Melbourne Class, Sydney for the Sydney Class etc. These are not interchangeable, and workshops are held three times throughout the course year over a weekend or long weekend. Q. Will you train me how to open my own business? A. We do discuss business basics in Module 14. NTA also offers a Career Development Course you can take at the same time as your NTP study, or once you have graduated. More information is available at the NTA USA website. Q. Will this course give me credits towards a diploma or degree elsewhere? A. This course advocates a whole-food, nutrient-dense diet and is a wonderful addition to university-level education, however, it will not count towards such study should wish to pursue it. Q. Does this class count as continuing education credits? A. Sometimes continuing education credits can be applied to other certificates and/or licenses. Enquiries must be made to the institution that awarded the license or certificate. Q. How many CEUs do I need to keep my certificate current after I graduate? A. NTA requires 24 CEUs every two years to keep the NTP or NTC certification current. At least 12 of the credits need to be directly related to nutrition. Up to 12 can be non-nutrition related but need to support your business in some way. Q. How many CEUs does one receive per class? A. One CEU credit is given per one hour spent in class. Q. Do you offer any other courses? A. In the USA, we also offer a Nutritional Therapy Consultant (NTC) course. Fundamentally, an NTP and an NTC are the same. They both employ foundationally based nutritional recommendations, evaluate food journals, utilise our Nutritional Assessment Questionnaire and make dietary and supplemental recommendations. However, the NTP course has the additional tool of our Functional Evaluation and subsequent lingual-neuro testing that allows them to further tailor nutritional recommendations to the client's needs. Advanced level courses for NTPs are also made available from time to time. A. To download a registration form, please download a Registration Packet here. Registration is on a first-come, first serve basis and you will be added to a class once payment is received. If you are applying for a loan, we must receive notification that the loan has been approved before you will be registered. We look forward to seeing you in class! How does an NTA course compare to some of the other tuition available? Here's our handy guide. We believe our Nutritional Therapy program has unique characteristics that set us apart from other schools by providing strong clinical skills and evaluation procedures that are unique in our industry. However, we have a shared goal with all nutritional schools of supporting wellness through proper bio-individual nutrition. Open the door to a new way of thinking about the body's innate intelligence and ability to heal. See what our graduates have to say about studying with NTA Australia/New Zealand. 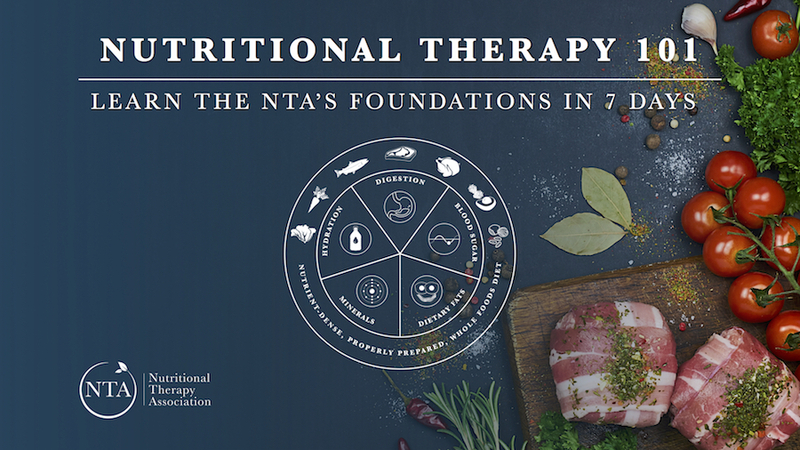 NTA was launched in Australia in 2015, and since then we have trained some very talented Nutritional Therapy Practitioners, who have gone on to open their own busy practices, changing the lives of countless people. The NTP program is ideal for working with clients in person, using food, diet and lifestyle recommendations paired with the powerful functional assessment tool that allows the practitioner to connect directly to the body's innate intelligence to identify areas in need of nutritional support. Get a head start on the Nutritional Therapy Practitioner Training Program! Each day of the course, you will receive a short video with an NTA Lead Instructor as well as a PDF 1-pager that includes a summary of the video's main ideas and action steps. A Nutritional Therapy Practitioner™ (“NTP”) is a professional certified by the Nutritional Therapy Association, Inc.® NTPs are trained to evaluate a client’s nutritional needs and make bio-individual recommendations or provide follow up support for dietary changes, lifestyle choices and nutritional supplementation based on these principles.